Shield tattoos have ancient origin but are still loved by many, although shield tattoos are very rare sight but they are still liked. These tattoos are mostly loved by those men who not only love its ancient origin but can also carry such tattoo with grace. 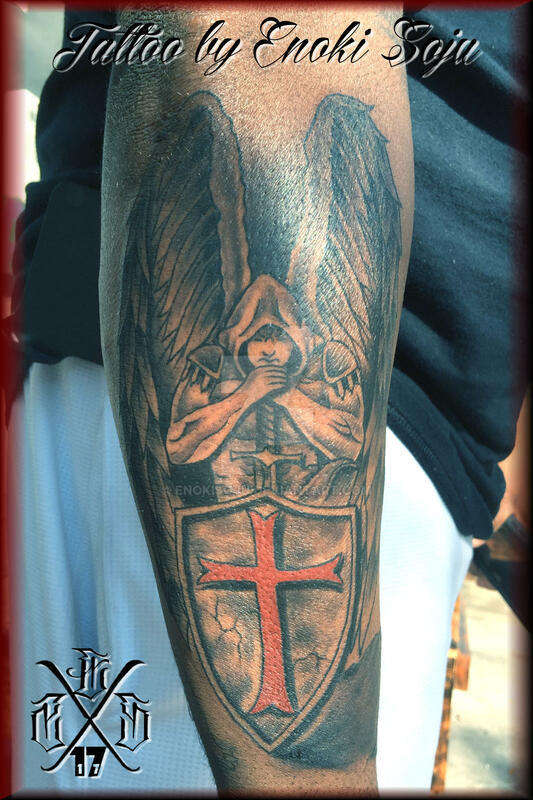 Shield tattoo symbolizes braveness, love, and protection for one’s self and their loved ones. 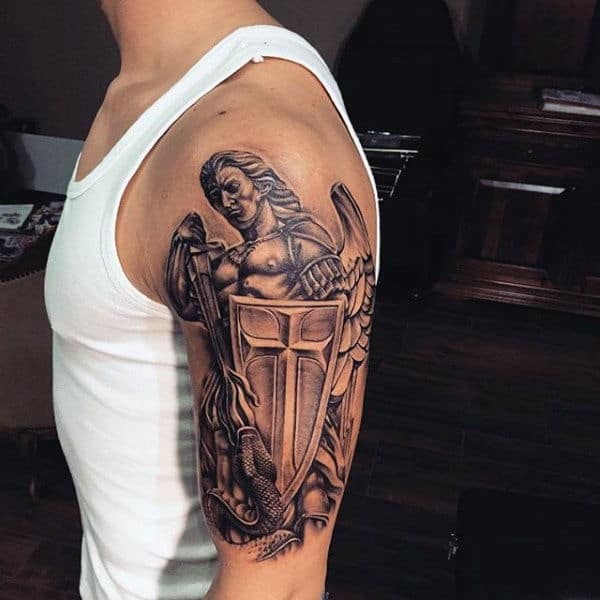 Shield tattoo brings out men’s inner attributes which make them strong and kind. 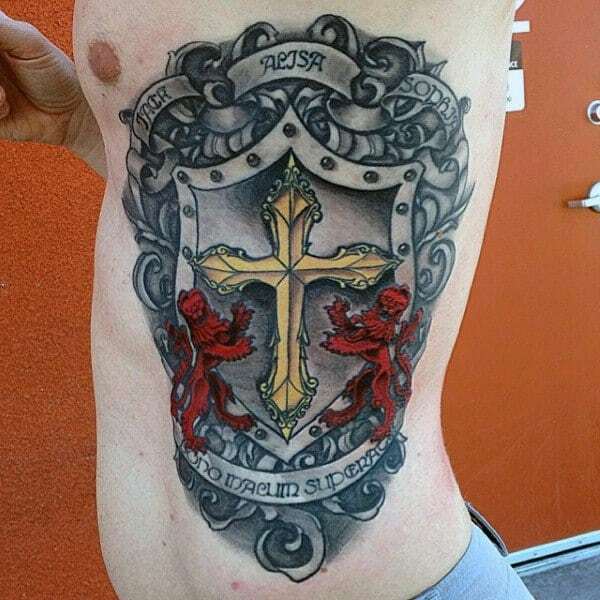 In old times, the knights of the king used to adorn their body with such tattoos to look more appealing and brave. 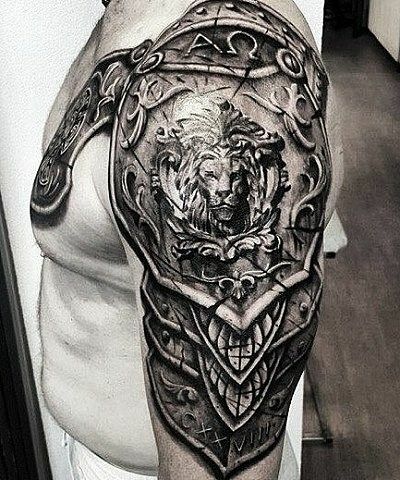 Shield tattoos are very detailed and large designs. 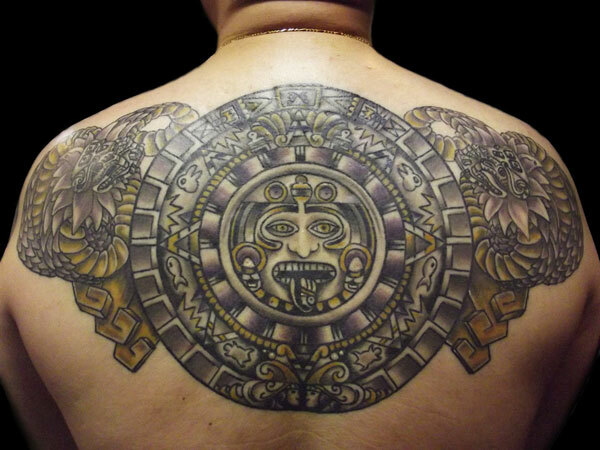 These tattoos are mostly done on areas which provides large a canvas for the tattoo design such as arms, back and chest. Among all the locations, shield tattoos are mostly done on arms as they are clearly visible. These tattoos are a great way to show off the inner alpha male, which is always ready to protect others. Shield tattoos can be designed in many different ways depending on the person’s preference, family and personality. 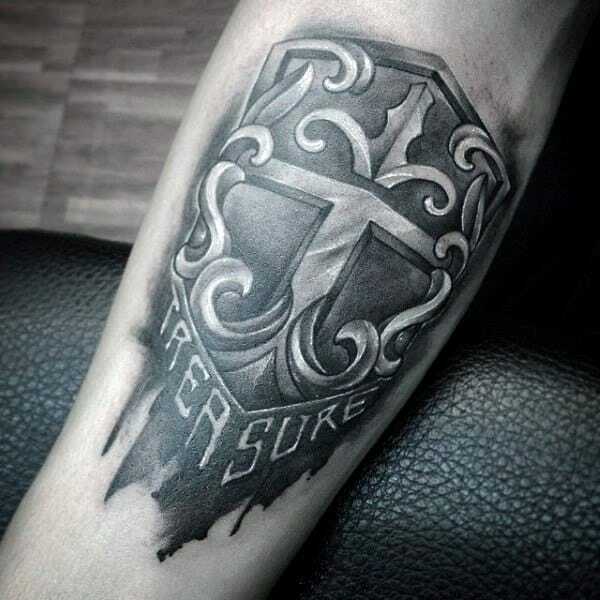 More often than not shield tattoo contains family crest or name. If you’re someone who loves animal, then you can choose a shield tattoo with any animal such as a lion or a bear. 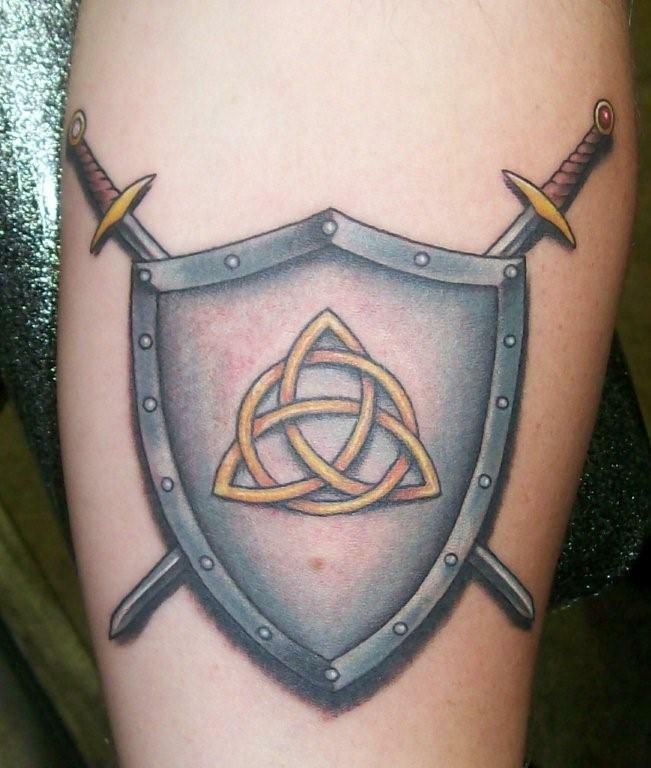 Shield tattoo with a sword is another very popular tattoo which look both brave and beautiful. 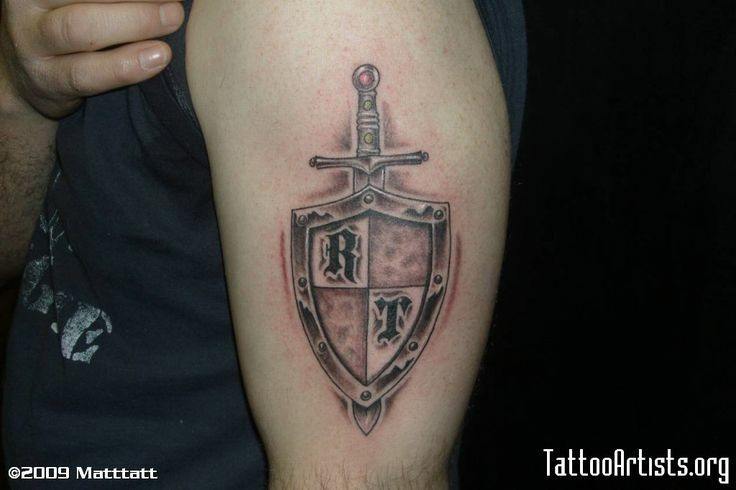 Many men prefer to get a knight in an armor tattoo who is holding a shield and a sword. This tattoo is very detailed and require a large area but the end result is very elegant and striking. 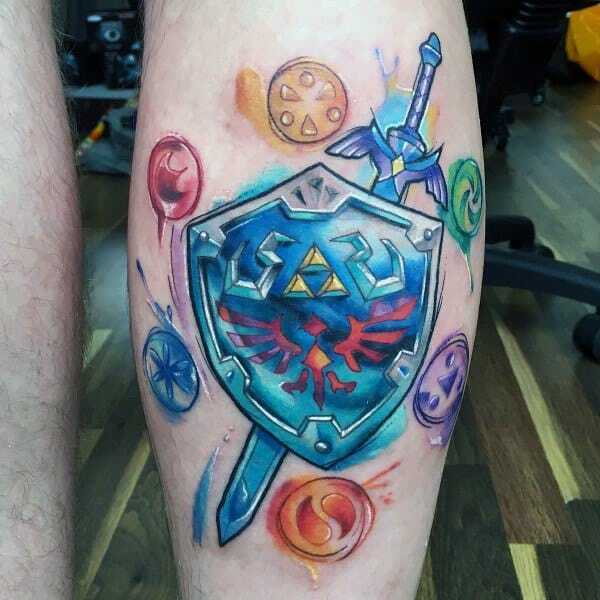 You can also use another tattoo symbol to make your shield tattoo look more creative and beautiful. One popular symbol for the tattoo is a skull. Skull and shield tattoo symbolizes that you’re fearless and protective. You can do this with any symbol of your choice. Your tattoo doesn’t always has to symbolize something. You can get a tattoo for the simple fact that you like it. 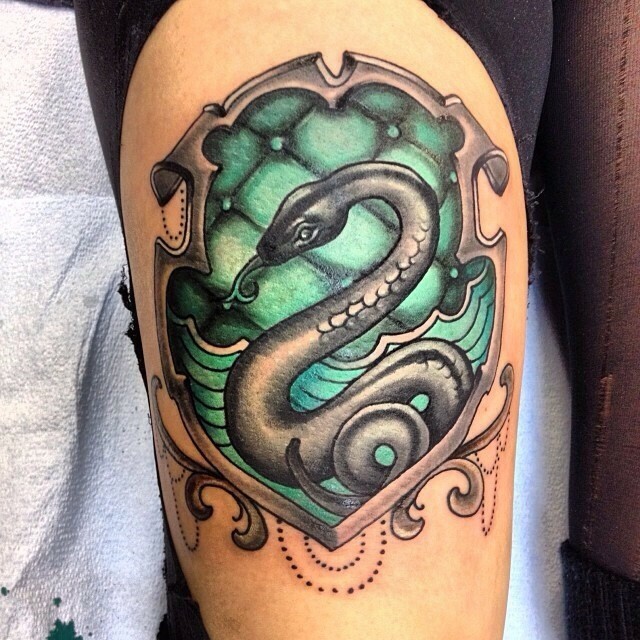 Many readers who love Harry Potter choose to get a shield tattoo with the House Crest of their favorite house such as Gryffindor or Slytherin. 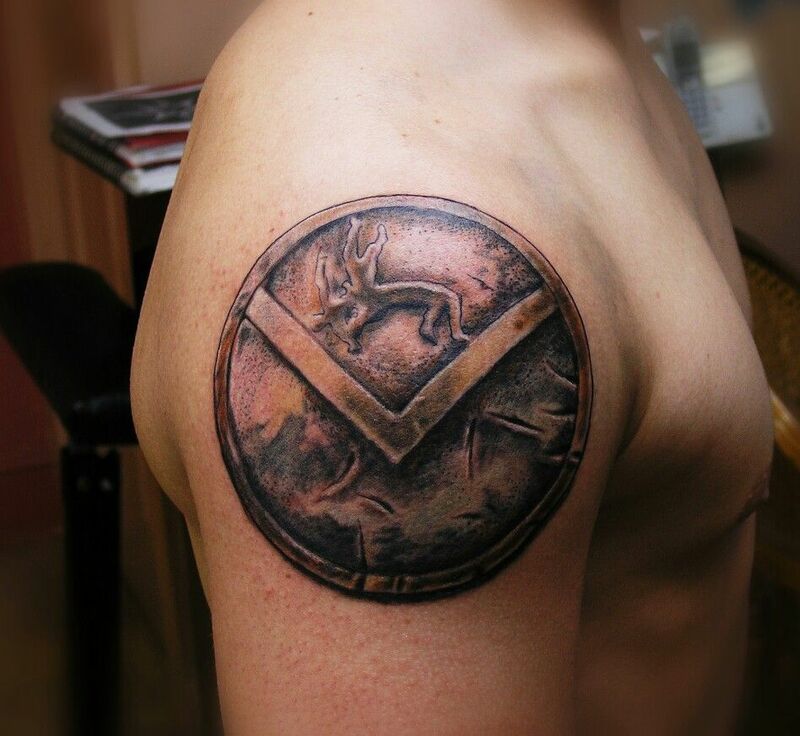 If you’re a fan of Marvel World then you can get a tattoo of Captain America’s shield. The choices for the shield tattoo is limitless. 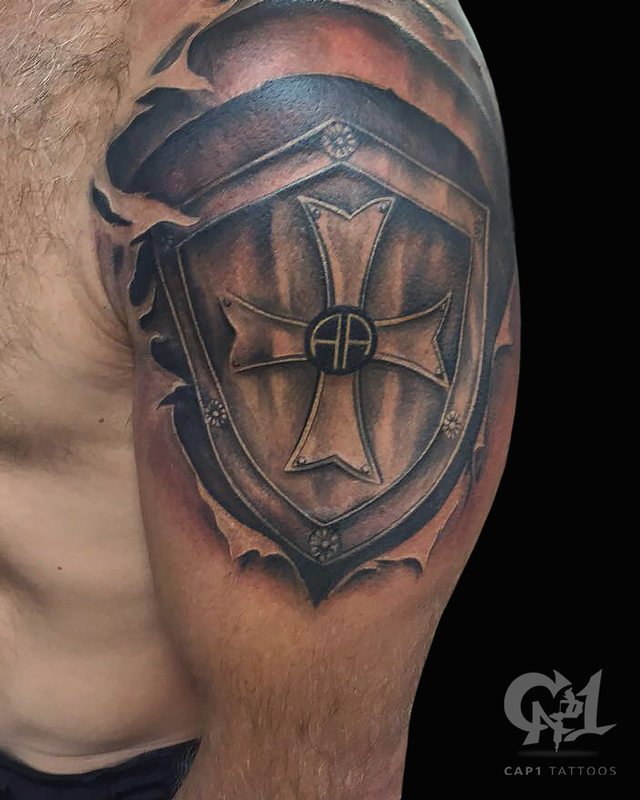 While most of the shield tattoos are black and white or gray inked tattoos you can make it look more beautiful by adding colors.